Binge Eating: Is It Making You Skinny or Fat? Home » General Health » Can We Blame Our Eating Habits on Genetics? Take a walk down any street in the city or any aisle in the grocery store and one thing is abundantly clear: Americans love to snack. We’ve got shops just for cupcakes, crepes, or even macaroni and cheese. Even home furnishing stores have candy readily available to satisfy your sweet tooth. In the grocery store, it seems like you can’t even buy single single-serving treats anymore—it’s all big bags with enough candy for a whole family. But guess what: we’re not sharing. All the while the serving sizes in restaurants make the jaws of most foreigners hit the floor. Binge eating is a double-edged sword with two extremes. One is linked to body image (bulimia/anorexia) while the other is linked to coping or addiction (obesity). Both are extremely important and encompass a number of factors making them very difficult to treat and diagnose. America has the most obese people in the world and is second to Mexico in obesity per capita. The numbers of obese Canadians has tripled since the mid-1980s. These are all North American countries that seem to experience higher rates of obesity than other parts of the world. A look at a World Health Organization (WHO) map of global obesity clearly indicates the majority of obesity occurs in these regions. Is there something in North American genetics that makes us obese? It really depends on whom you ask. It’s also interesting to note that as North American culture continues to spread globally, obesity rates seem to correlate. Dr. Kelly Klump, an esteemed professor at Michigan State University, has discovered that genetics play a significant role in binge eating. She recently decided to conduct an experiment involving rats to help her distinguish which genes are making it so difficult to leave the snacks on the shelf. The bulk of Dr. Klump’s research is aimed at examining why eating disorders exist. Her goal is to find effective treatments for bulimia nervosa and anorexia, conditions that plague millions of Americans (including an overwhelming amount of young women). Eating disorders are one of the most pressing psychological conditions facing the nation, while posting the highest mortality rate of all psychological disorders. Anorexia, for example, is a condition where young women (and some men) binge eat only to purge their system of the food by vomiting shortly after. At the other end of the spectrum, obesity is linked to one in five American deaths. Dr. Klump recently looked at two strains of rats with different genetics to see if one was more likely to binge. Each group was fed the same meal at the same time for two weeks and she included intermittent servings of vanilla frosting at random times every second day. Frosting was chosen because humans tend to binge on sweets, while the timing was designed to mimic human binge eating habits. After the trial she noticed that binge eating was much higher in one of the rat strains. This helps prove the theory that genetics influence binge eating because rats have no existential pressures impacting their pressure to eat. It’s not a social or psychological reflex and rats surely don’t care about their physical appearance, so it’s safe to say that one strain featured genetics that made them more prone to binging. 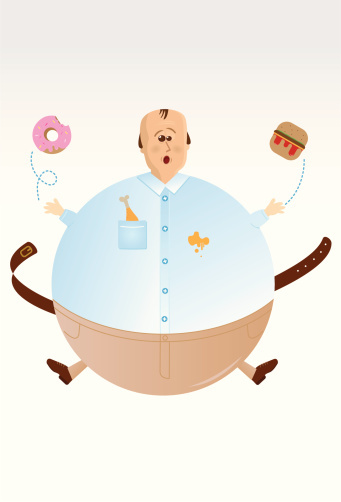 Now Dr. Klump’s challenge is mapping the gene, or group of genes, that lead to binge eating. Dr. Klum’s study, in my opinion, is more relevant to overeating as opposed to binging and purging. This is because both strains of rats were noted to consume their regular meals, while one was more likely to binge in between meals resulting in consumption of additional calories. I believe binge eating is the result of a number of factors including, but not limited to, genetics. We need to look at issues affecting both ends of the spectrum and acknowledge people can have a strained relationship with food in different ways. “Rats, Frosting Helping Find Genetic Causes of Binge-Eating,” Science Daily web site, March 4, 2014; http://www.sciencedaily.com/releases/2014/03/140304130035.htm, last accessed March 12, 2014. Kantor, B., “The Obesity-Eating Disorder Paradox,” Harvard Political Review web site, April 1, 2012; http://harvardpolitics.com/covers/food-covers/the-obesity-eating-disorder-paradox/, last accessed March 12, 2014. “Prevalence of Obesity” World Health Organization web site, 2008; http://gamapserver.who.int/gho/interactive_charts/ncd/risk_factors/overweight_obesity/atlas.html?indicator=i1&date=Both%20sexes, last accessed March 12, 2014. “Mexico Obesity Rate Higher Than The U.S., Says U.N Report,” Huffington Post web site, http://www.huffingtonpost.com/2013/07/09/mexico-obesity-rate-united-states_n_3568537.html, last accessed March 12, 2014. Haiken, M., “1 in 5 Deaths Linked to Being Overweight or Obese: Does This Mean You?” Forbes web site, August 19, 2013; http://www.forbes.com/sites/melaniehaiken/2013/08/19/overweight-watch-out-1-in-5-deaths-now-linked-to-being-overweight-or-obese/, last accessed March 12, 2014. McKie, R., “Diabetes Epidemic Affecting 350 m—And Western Food is to Blame,” The Guardian web site, June 25, 2011; http://www.theguardian.com/society/2011/jun/25/diabetes-epidemic-western-fast-food, last accessed March 12, 2014. “Globalization: Why Obesity Has Become a Global Problem,” Harvard School of Public Health web site, 2014; http://www.hsph.harvard.edu/obesity-prevention-source/obesity-causes/globalization-and-obesity/, last accessed March 12, 2014. Watters, E., “The Americanization of Mental Illness,” New York Times Magazine web site, January 8, 2010; http://www.nytimes.com/2010/01/10/magazine/10psyche-t.html?pagewanted=all, last accessed March 12, 2014.